I think we used to have this thread. If not, well then we should've, lol. 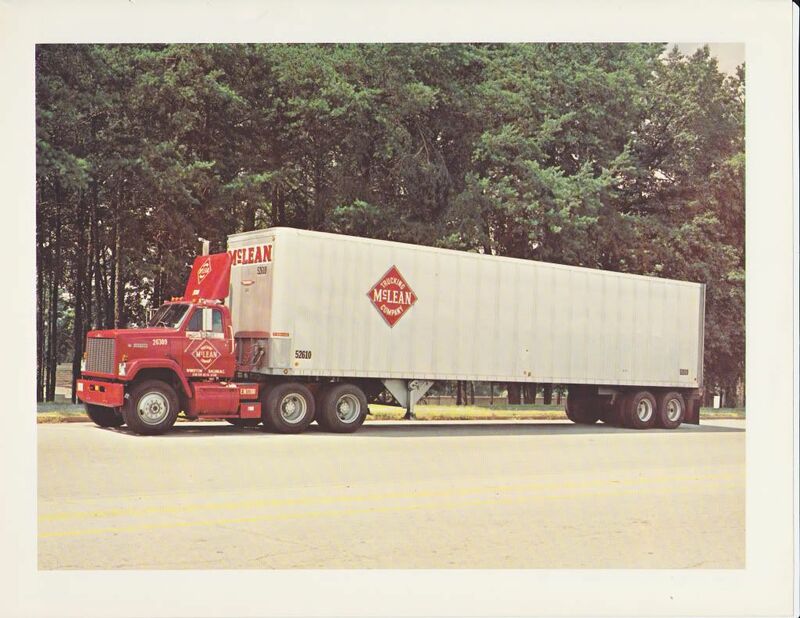 I don't have any pics to post but I hope y'all will share yours from back in the day. 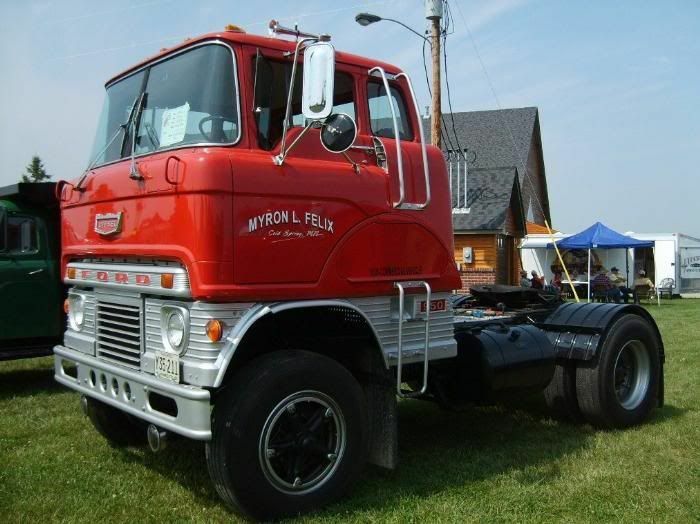 RD, here's a pic of my grandfathers truck. He hauled between the textile mills and the rail yards. 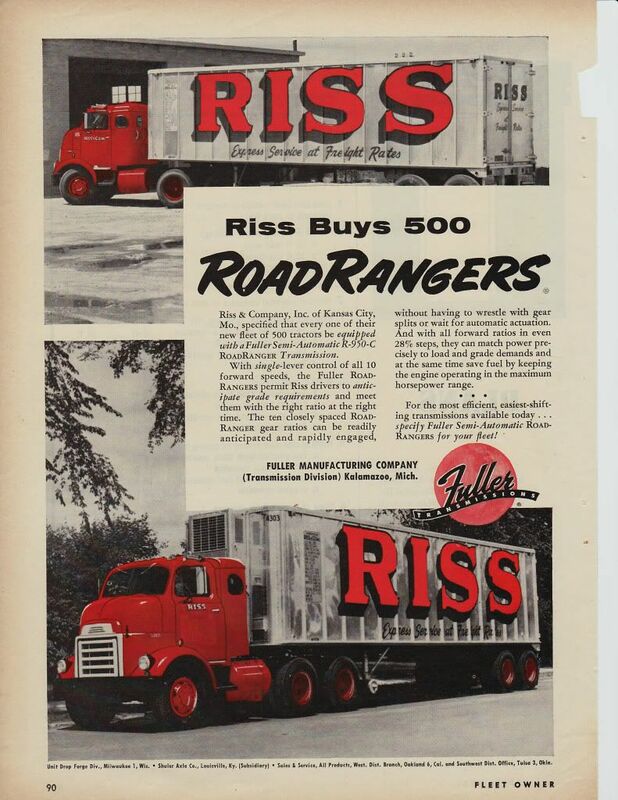 This was back in The Depression and this truck supported him and his family of 7 children, one of which is my father. 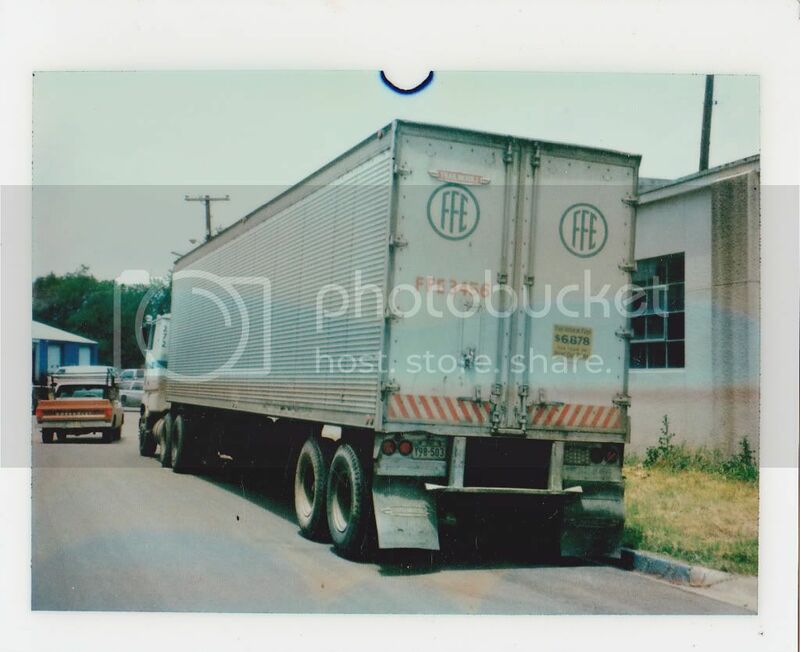 This is a pic of a !973 White Road Boss, this is what we were driving when I started at Roadway in 1975. 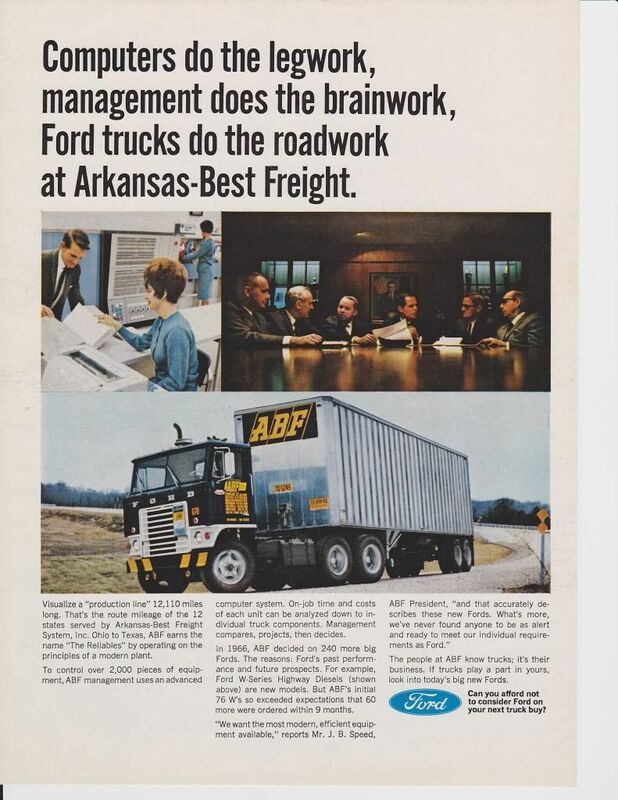 They were powered by a 318 V8 Detroit with a 10 speed Roadranger. Manual steering and some of Roadways first equipment to have radial tires. They had them turning about 2350 RPM and had a road speed of about 73 MPH. These old Autocar cabs are my favorite cab of all time. Unlike the poorly designed cabs of today they had big enough glass for visibility without the fishbowl feel of the cabs today. Seats were Bostrom hydraulic with seperate adjustments for height and firmness, much better than an air ride seat in my opinion. They had a defroster that was so powerful it would melt the ice on the hood. Never had ice buildup on the windshield....ever. 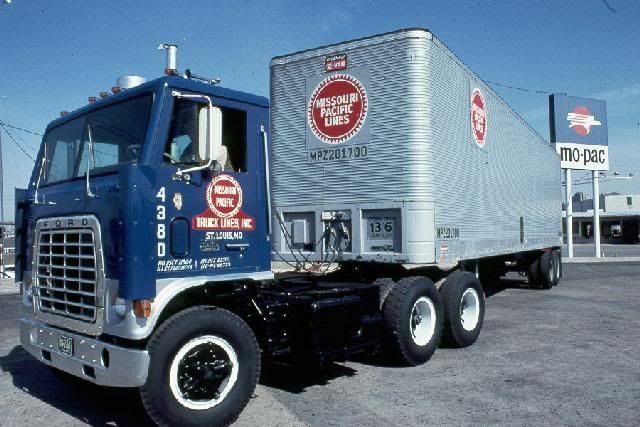 I have fond memories of peddling freight with tandem axle White tractors hooked to Western Gillette 27 or 28' narrow pup trailers when I started with Roadway in 1981. 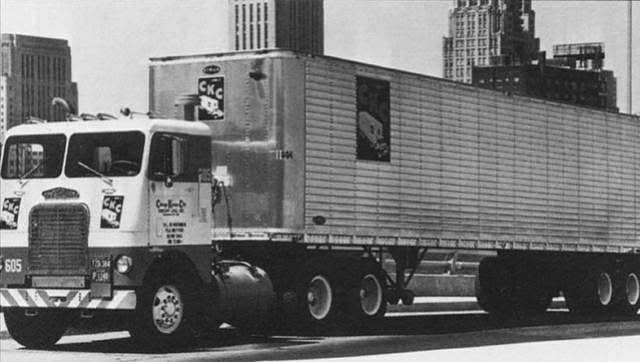 Some of the Western Gillette pup trailers had landing gear that could be cranked back to accommodated the tandem axle tractor. 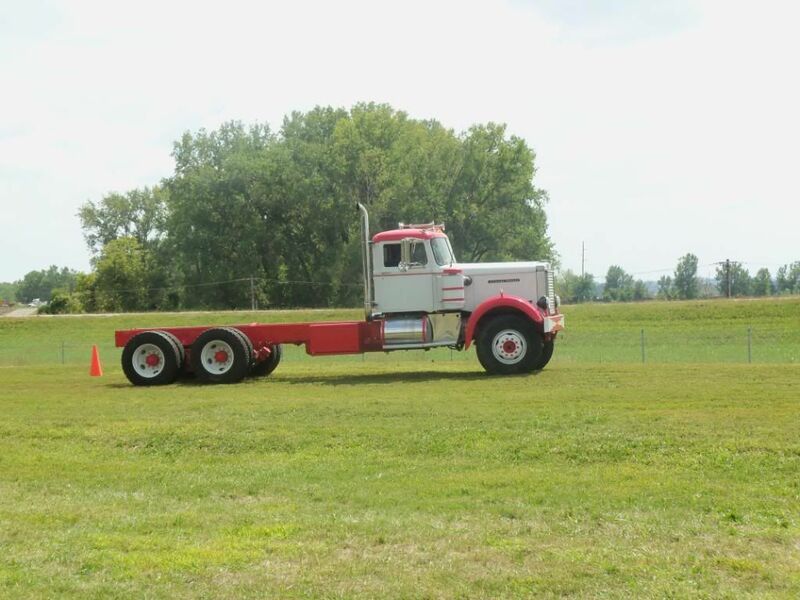 Others didn't and the back tires on the tandem axle tractor would just get ground up. 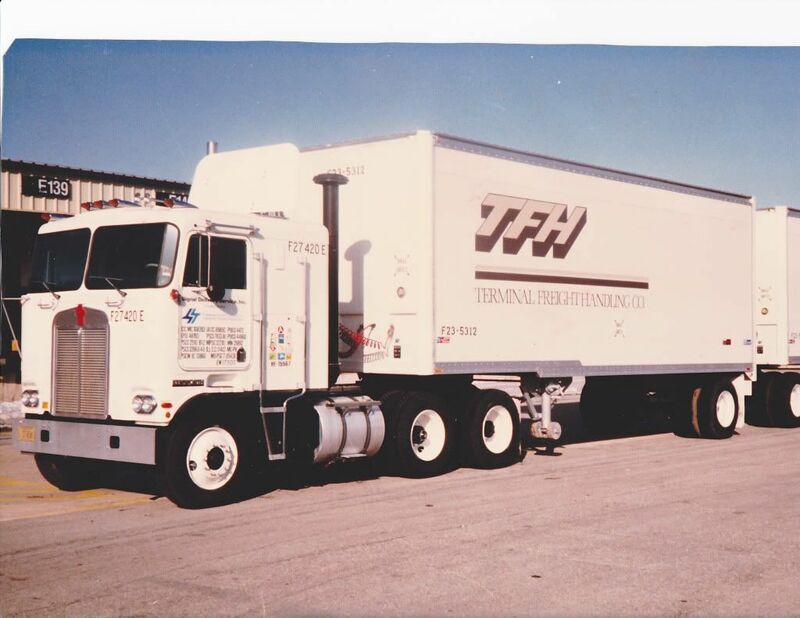 This was taken in 1977 when i drove for FFE in Dallas. 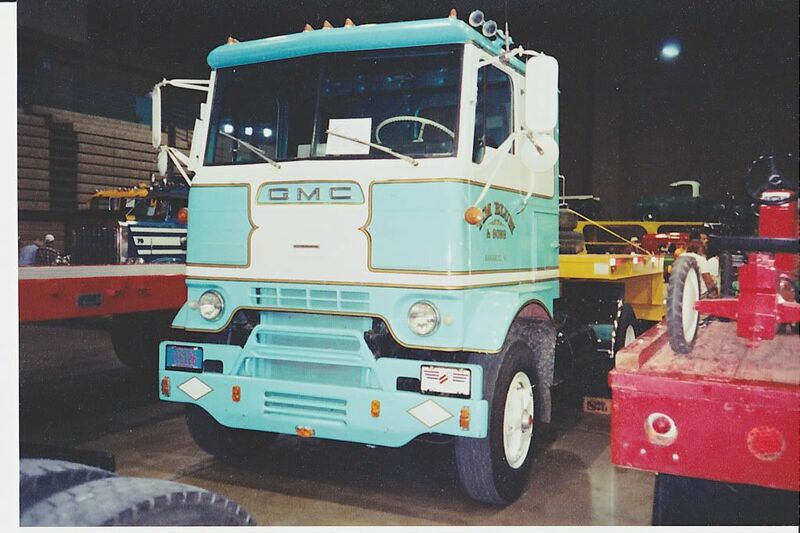 The tractor was a Ford CLT 9000 with the big smiling grille. 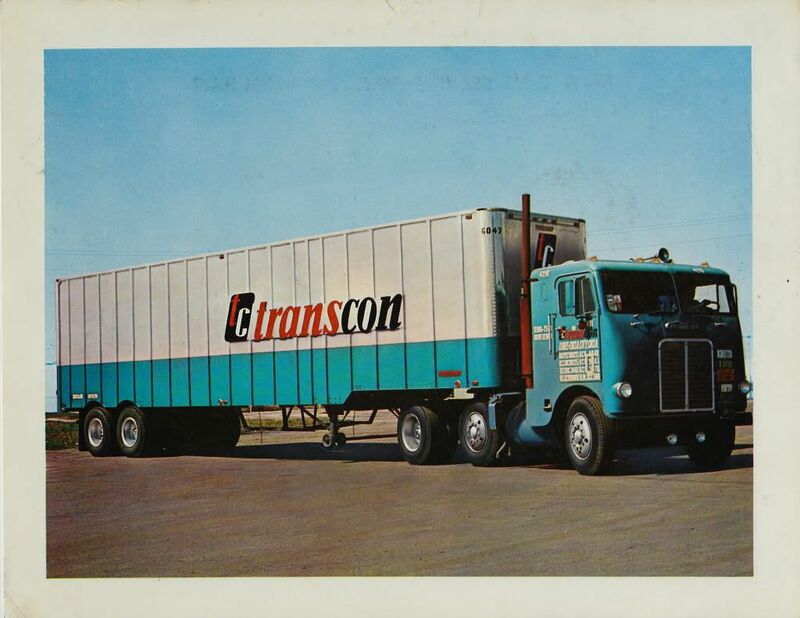 Remember the stickers on the back of the trailers like this one " This vehicle pays 6832$ in road use taxes"
1976 Kenworth Bicentennial edition. Belongs to a friend of ours. 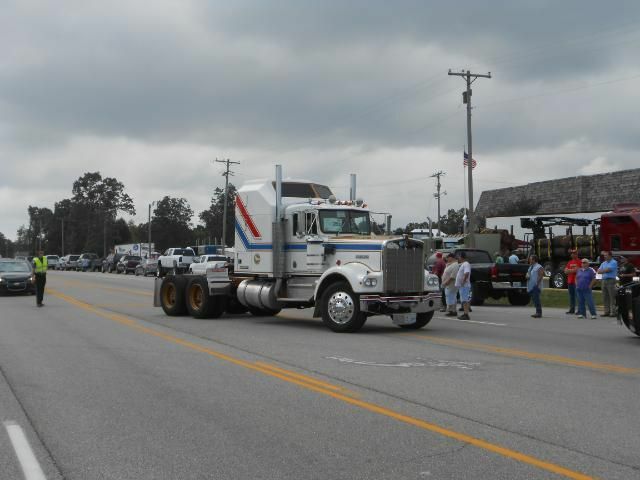 1980 Marmon and 1982 Western Star. 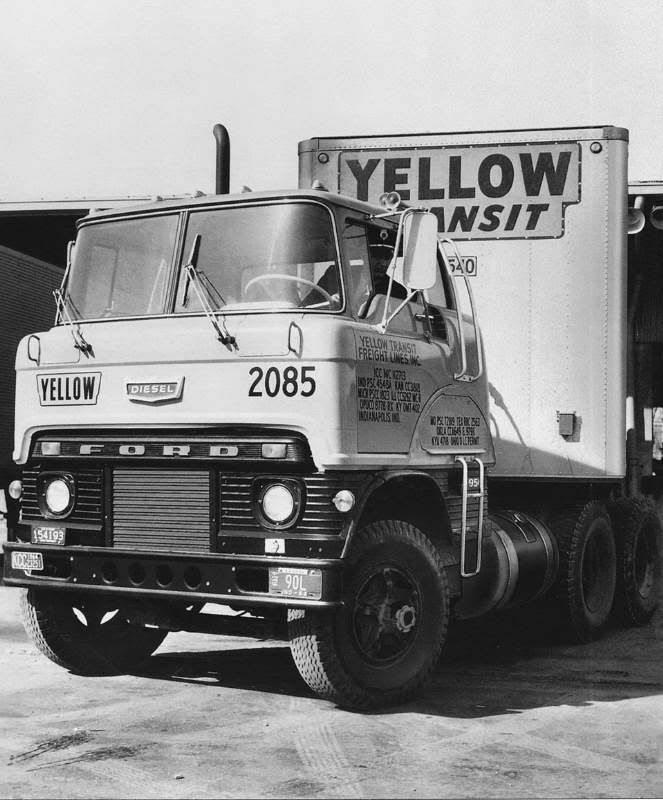 I used to drive the Western Star. 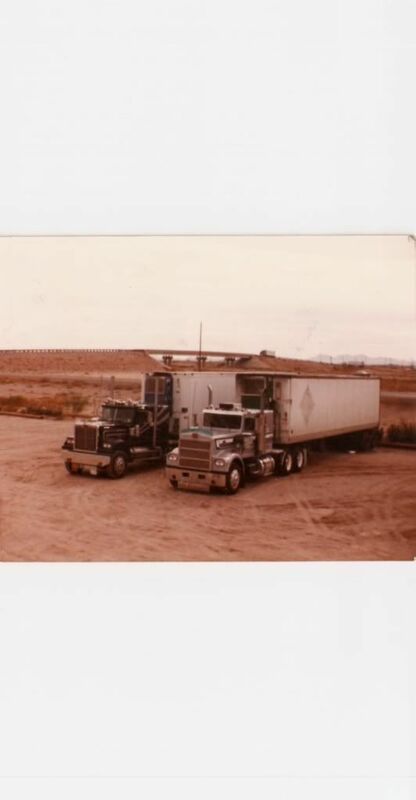 This was fall of 1983 at Toltec, AZ. Both trailers were 42ft long, And both trucks were to long for the state of Missouri!!! Later model 2 story Falcon.